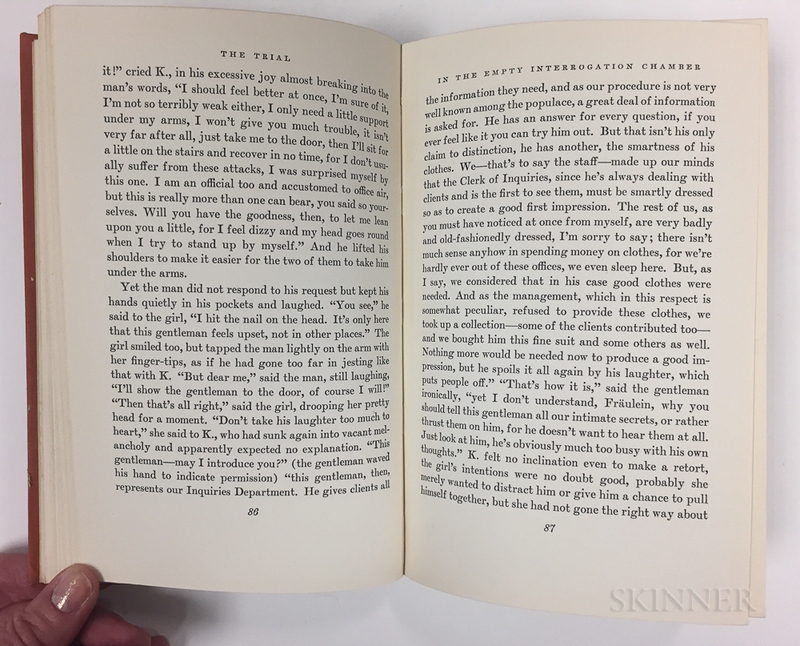 Kafka, Franz (1883-1924) The Trial , First American Edition. Kafka, Franz (1883-1924) The Trial , First American Edition. Kafka, Franz (1883-1924) The Trial , First American Edition. 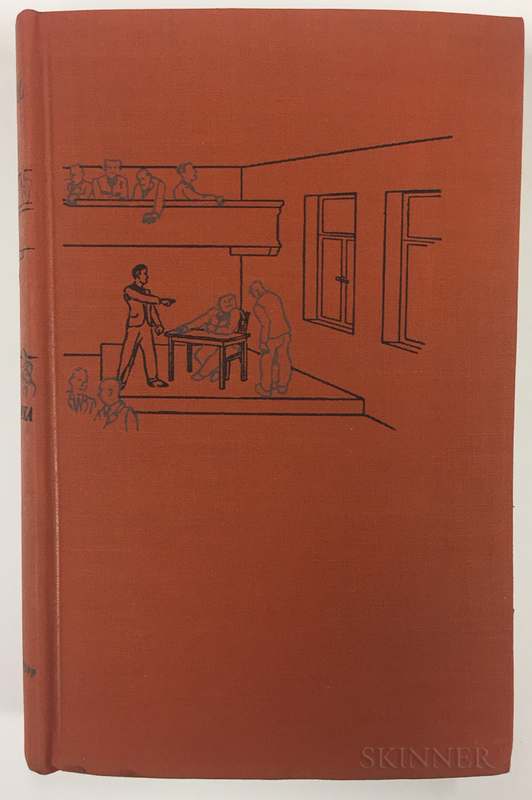 Kafka, Franz (1883-1924) The Trial , First American Edition. Kafka, Franz (1883-1924) The Trial , First American Edition. Kafka, Franz (1883-1924) The Trial , First American Edition. Kafka, Franz (1883-1924) The Trial , First American Edition. Kafka, Franz (1883-1924) The Trial , First American Edition. 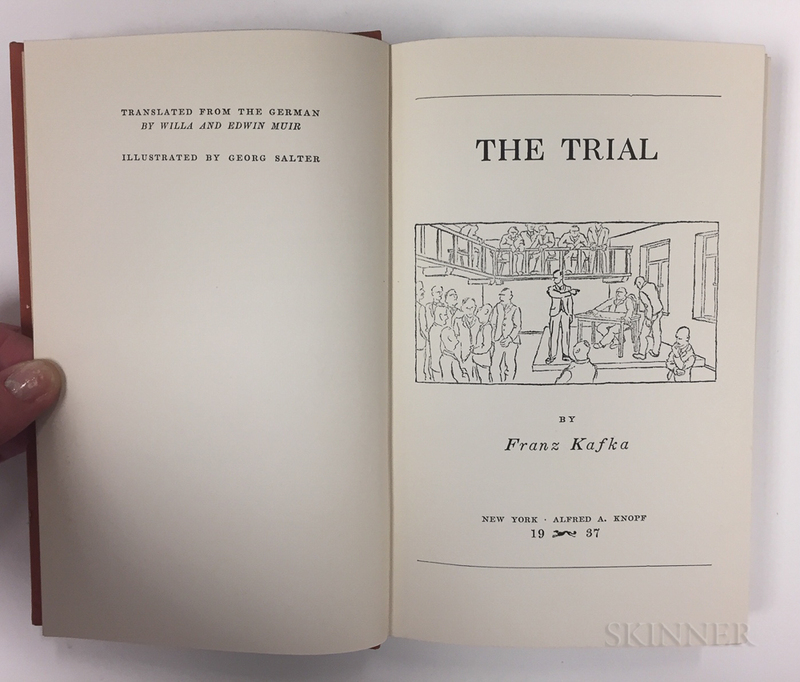 Kafka, Franz (1883-1924) The Trial, First American Edition. New York: Alfred A. Knopf, 1937. 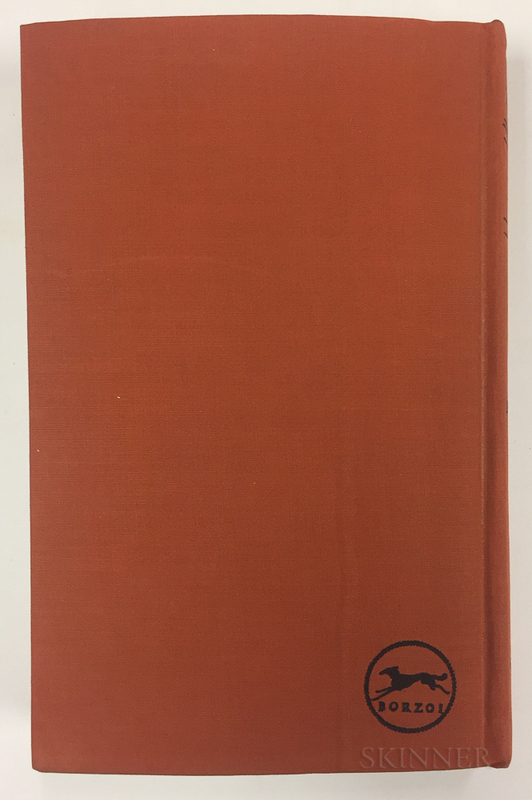 First American edition, octavo, bound in publisher's illustrated cloth (short tear at head), and illustrated publisher's dust jacket by George Salter (slightly toned, chipped with slight loss, other minor marginal faults), 7 1/2 x 4 3/4 in.